Ensure your skin is silky soft and looking amazing this Valentine’s Day with the fabulous Skin Doctors hair solution treatments. 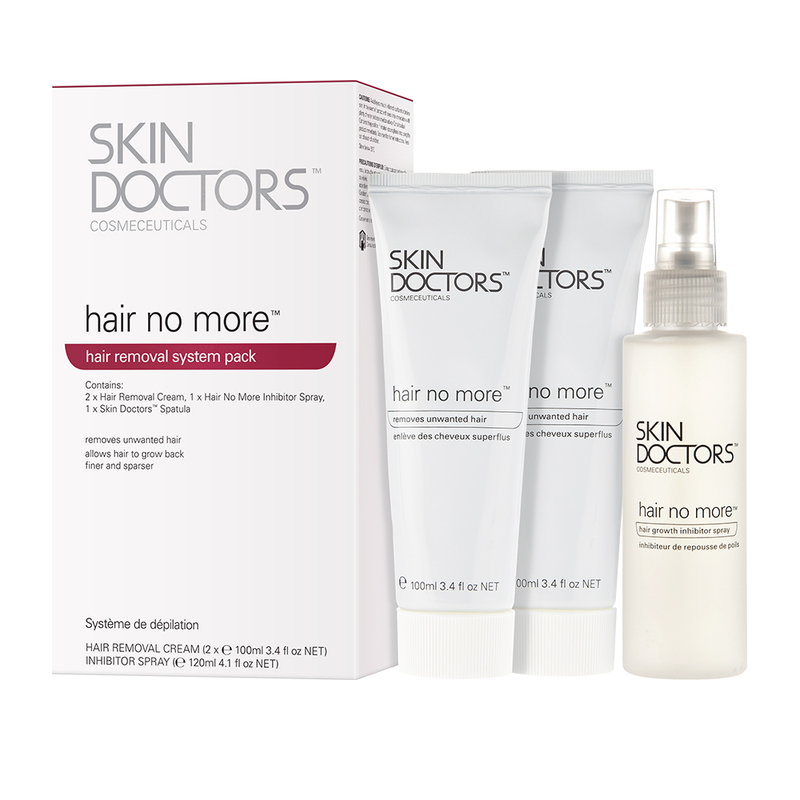 We checked out the Skin Doctors Ingrow Go and Hair Removal Kit and we love the results! One thing is for sure – should you wax or shave, ingrown hairs will be lurking! However, they do not need to be the bane of your life. This superior lotion will quickly and effectively remove the pesky hairs and will even treat razor bumps and burns, too! As this lotion is an outstanding preventative measure, the outcome is permanently silky soft and bump-free skin. Yay! Skin Doctors Ingrow Go combines extensively researched active and natural ingredients such as salicylic acid that work to exfoliate away dead skin cells, ingrown hairs, tackle the dreaded signs of acne – whilst reducing red spots and refining pores, leaving you with nothing less than a newly radiant glow. This treatment is ideal for the bikini line, arms and legs, and even the male facial area. For best results Ingrow Go Should be used following hair removal. For us lazy girls, this Hair No More System Pack is like a dream come true. Combined in this pack is everything you need for fast and simple hair removal as well as prolonging the return of unwanted hair. Once you have applied the painless hair removal cream that quickly dissolves away the hair. All you need to do is apply the innovative Inhibitor Spray. Suitable for all skin types, this spray aids in slowing down any hair re-growth. Any hair that grows back will appear finer, lighter and can even stop growing back on the treated area forever! The Hair Growth Inhibitor Spray has been scientifically developed to successfully prevent hair regrowth, cause no side effects and enable beautifully soft skin. Furthermore, the spray includes soothing plant extracts to calm the treated area and prevent any irritation or redness. Unlike many other methods of hair removal, this kit offers a revolutionary and pain-free answer to the problem. Containing a spatula to enable even easier application and removal, 2 x hair removal creams and an outstanding Inhibitor Spray, worrying about hair removal will soon be a thing of the past. N.B. Always do a patch test 24 hours before using a new product. To view and buy the amazing products by Skin Doctors click here.